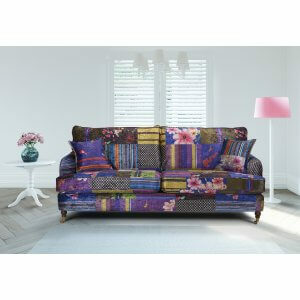 Lovesofas pride ourselves on our quality and amount of choice available to our customers. See below, our huge selection of sofas from Chesterfields, Corner Sofas, Sofabeds, Recliners available in multiple colours and sizes. You click on one of the above if you have something in mind. • This beautiful corner sofa has a reversible chaise so can be set up on either side. • Solid hardwood frame and soft permafoam cushions. • Corner is coming with cushions shown on picture • This corner is upholstered in hard-wearing polyester fabric. 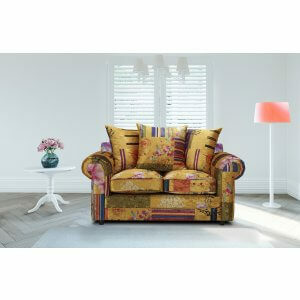 Multicoloured Fabric 1 Seat Sofa •	The neat, pintucked arms and additional pillow. 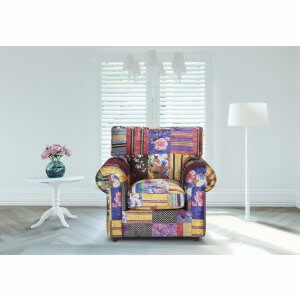 •	Fully upholstered in fashionable hard-wearing polyester fabric. •	Metal castor feet add a traditional style to this piece of furniture. •	Fully UK fire regulation compliant foam and fillings used throughout. • Due to the nature of patchwork, the item delivered will differ from item shown in the picture, but will have the same pattern as a variant. Multicoloured Fabric 3 Seat Sofa •	The neat, pintucked arms and additional pillow. •	Fully upholstered in fashionable hard-wearing polyester fabric. •	Metal castor feet add a traditional style to this piece of furniture. •	Fully UK fire regulation compliant foam and fillings used throughout. • Due to the nature of patchwork, the item delivered will differ from item shown in the picture, but will have the same pattern as a variant. Multicoloured Fabric Corner Sofa •	The neat, pintucked arms and additional pillow. •	Fully upholstered in fashionable hard-wearing polyester fabric. •	Metal castor feet add a traditional style to this piece of furniture. •	Fully UK fire regulation compliant foam and fillings used throughout. • Due to the nature of patchwork, the item delivered will differ from item shown in the picture, but will have the same pattern as a variant. 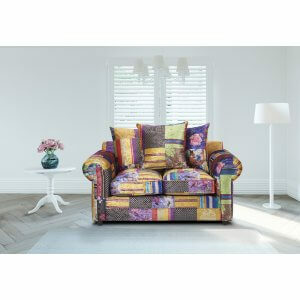 Multicoloured Fabric 2 Seat Sofa •	The neat, pintucked arms and additional pillows. 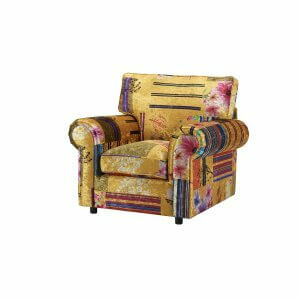 •	Fully upholstered in fashionable hard-wearing polyester fabric. •	Metal castor feet add a traditional style to this piece of furniture. •	Fully UK fire regulation compliant foam and fillings used throughout. • Due to the nature of patchwork, the item delivered will differ from item shown in the picture, but will have the same pattern as a variant. Available for delivery in 4-5 weeks. Multicolored Fabric Corner Sofa •	The neat, pintucked arms and additional pillow. •	Fully upholstered in fashionable hard-wearing polyester fabric. •	Metal castor feet add a traditional style to this piece of furniture. •	Fully UK fire regulation compliant foam and fillings used throughout. • Due to the nature of patchwork, the item delivered will differ from item shown in the picture, but will have the same pattern as a variant. 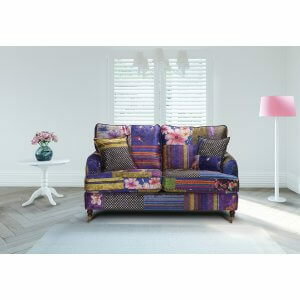 Multicoloured Fabric 2 Seat Sofa •	Our Charlotte Range has a beautiful scrolled arms and refined design. •	Charlotte sofa has fixed back for more supportive seat. •	Built in the UK on a hardwood frame with foam-filled seats with foam top providing great comfort. • High-quality materials guarantee quality. • Made in hard-wearing polyester fabric. •	Due to the nature of patchwork, the item delivered will differ from item shown in the picture, but will have the same pattern as a variant. 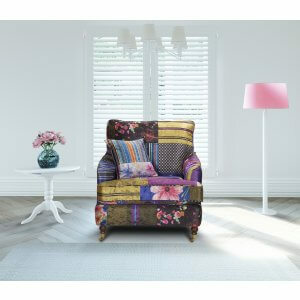 Multicoloured Fabric Armchair •	Our Charlotte Range has a beautiful scrolled arms and refined design. •	Charlotte sofa has fixed back for more supportive seat. •	Built in the UK on a hardwood frame with foam-filled seats with foam top providing great comfort. • High-quality materials guarantee quality • Made in hard-wearing polyester fabric. •	Due to the nature of patchwork, the item delivered will differ from item shown in the picture, but will have the same pattern as a variant. 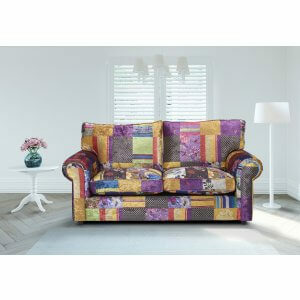 Multicoloured Fabric 3 Seat Sofa •	Our Charlotte Range has a beautiful scrolled arms and refined design. 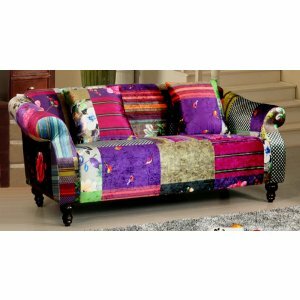 •	Charlotte sofa has fixed back for more supportive seat. •	Built in the UK on a hardwood frame with foam-filled seats with foam top providing great comfort. • High-quality materials guarantee quality • Made in hard-wearing polyester fabric. •	Due to the nature of patchwork, the item delivered will differ from item shown in the picture, but will have the same pattern as a variant. •	Elegant scroll arms of Avici Shout will work well in classic or contemporary settings. •	Crafted in luxury patchwork fabric to create sofas of exceptional beauty, the Avici range has foam filled backs and pocket sprung seating ensuring a supportive and comfortable sit. •	This extremely luxurious contemporary collection combines style, quality and value at an affordable price! •	Due to the nature of patch-working, the item delivered will differ from item shown in the picture, but will have the same pattern as a variant. 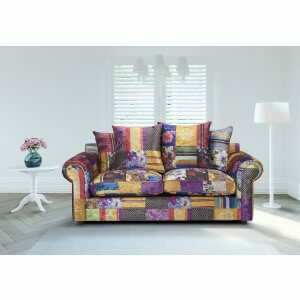 Multicoloured Fabric 2 Seat Sofa •	Our Charlotte Range has a beautiful scrolled arms and refined design. •	Charlotte sofa has fixed back for more supportive seat. •	Built in the UK on a hardwood frame with foam-filled seats with foam top providing great comfort. • High-quality materials guarantee quality • Made in hard-wearing polyester fabric. •	Due to the nature of patchwork, the item delivered will differ from item shown in the picture, but will have the same pattern as a variant.